The minute you said the phrase “Motown family group,” the DeBarge clan were fighting against the tide. The Jackson 5 left such a massive footprint with their achievements at Tamla that any other sibling collective would have its work cut out. Yet DeBarge triumphed above the odds to become one of the famous label’s most successful acts of the 1980s, hitting the top of the R&B chart twice (with ‘Time Will Reveal’ and the global hit ‘Rhythm Of The Night’) and the top ten on four further occasions. Even though Motown had departed for Los Angeles years before signing the group, DeBarge were true Motor City natives, growing up on Detroit’s east side before moving two and a half hours west across Michigan state to Grand Rapids. That was where the older members of the family started performing, with Randy, Eldra (“El”) and Mark also playing in the Smash Band, who were signed by MCA in North America. In their own right, the DeBarge family comparison with the Jacksons would be heightened, once they were signed to Motown’s Gordy label, by the fact that Jermaine Jackson helped to mentor them. Alongside that, the group took inspiration from the members of Switch, who themselves had recorded for MCA and Polydor before being snapped up by Motown. With sister Bunny joining the family fold in 1979, DeBarge were now a force to be reckoned with, and Berry Gordy was sufficiently swayed by their talent and their links to one of his existing hit acts to sign them in 1980 as the DeBarges. As Switch’s fortunes faded, the family’s were on the rise. Tommy and Bobby worked with the four-piece outfit on their debut Motown album of spring 1981, simply titled The DeBarges. That album failed to chart, but it had a certain superior pop-friendly R&B feel, with funky, horn-laden dance tracks and harmony-filled ballads, to make Motown persevere. It was a wise decision. 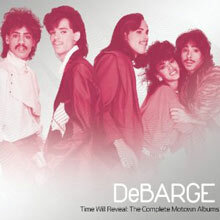 In July 1982, now officially expanded to a five piece of El, Bunny, Mark, Randy and new member James and restyled DeBarge, they released the sophomore album All This Love. Its uptempo first single ‘Stop! Don’t Tease Me’ was a false start, peaking at No. 46 R&B. But then came the Randy, El and Bunny composition ‘I Like It,’ a mid-paced number that showcased the group’s lush harmonies and romantic disposition. At last, R&B radio said yes, please, making it a No. 2 hit in the early part of 1983. It was going to be a good year in the DeBarge family. By April, they were back among the soul bestsellers with the equally classy ‘All This Love,’ which went No. 5 R&B and gave the group their first top 20 pop success. The album of the same name would go gold, and just 14 months after that second LP came the third, In A Special Way. It was a stellar last quarter of 1983 for Motown. Rick James had led the bestsellers for six weeks with ‘Cold Blooded,’ Lionel Richie for seven with ‘All Night Long (All Night),’ then came DeBarge’s run, as the label made like the old days. Further proof that the family act were now at Tamla’s top table came with the presence on their next soul hit, ‘Love Me In A Special Way,’ of Stevie Wonder on harmonica. If the 1983-84 season was successful for DeBarge, what followed was special — but not before the group’s first brush with controversy, and certainly not their last. In 1984, James DeBarge eloped with an 18-year-old Janet Jackson, and the pair then lived for a time in the Jackson family compound. Inevitably, the relationship didn’t last, and their marriage was annulled in 1985. The song was so big, and has become such a theme tune for the group, that it’s easy to forget that DeBarge followed it with two more big American R&B hits from the same album, perhaps because they didn’t travel so well outside the US. ‘Who’s Holding Donna Now,’ written by Graydon, David Foster and Randy Goodrun, had them moving ever further into adult contemporary pop and perhaps leaving some of their soul community behind, but it spent a month at No. 2 R&B and reached No. 6 on the Hot 100. El and Chico’s ‘You Wear It Well’ then became a soul No. 7. For the third album running, they had a gold record. But narcotics had entered the picture some time before, and combined with the traditional sibling rivalries, meant that things were never going to be as good again. 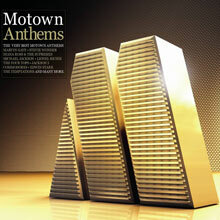 1986 was Motown’s cue for a Greatest Hits collection, but rather than keep time, it really marked the end of an era. El and Bunny left the group, both signing solo deals with Motown and causing a reported family rift. They incurred the disapproval of Etterlene ‘Mama’ DeBarge, the mother of the seven children in the performing fold, and ten siblings in total. The group, in turn, left Motown, somewhat unusually with recent big hits in their locker rather than because of the normal decline in sales. Bobby DeBarge came in as the producer and fourth member of the retooled, all-male four-piece. There was a new record deal, but the independent Striped Horse was unlikely, with all respect, to match the Motown muscle. Three of the siblings, in total, recorded solo for Motown, Bunny releasing the In Love set in 1987, and Chico, never a member of the group per se, an eponymous LP in ‘86 followed by Kiss Serious the next year. He would have better success when he moved to Kedar/Universal, with whom he had a gold-selling album, Long Time No See, in 1989. But all of this splintering from the supposed main attraction wreaked damage from which the remaining members of the group never recovered. Their return with the Striped Horse album Bad Boys and single ‘Dance All Night’ just never caught fire: the album didn’t chart, the single stalled at No. 33 R&B, and the next single ‘You Babe’ proved to be DeBarge’s chart swansong. In 1989, Chico and Bobby were imprisoned for drug trafficking, and four of their brothers had treatment for substance abuse. By 1991, the group had gone gospel, but the album Back On Track, on the small Truth Ministries label, sadly proved to be inaccurately titled. Even more sadly, Bobby’s heroin use led to him contracting AIDS, from which he died in 1995. It’s an unfortunate end to the story of a group who, in their heyday, shone as one of Motown’s major attractions of the 1980s. This marked the third album by the Grand Rapids, MI. natives, and it was also an attempt by the label to increase the group's pop appeal. Of the album's four releases, two were Top Ten singles on the Billboard pop charts: "Rhythm of the Night" (Number Three), and "Who's Holding Donna Now" (Number Six). The former, which is featured in the Berry Gordy movie The Last Dragon, conveys a grande fiesta ambience with its Caribbean rhythm. The single stayed on the Billboard R&B charts for 23 weeks, peaking at Number One. The latter is a mid-tempo number that stays nestled in its mellow pulse, kindled by El DeBarge's inquisitive vocals. The single held the Number Two spot on the charts for four consecutive weeks. While most of the album is pop-oriented, "You Wear It Wear" houses a soulful beat fueled by El's expedient delivery. With its catchy hook line and its female-commending lyrics, the single peaked at Number Seven. "The Heart Is Not so Smart" is clearly a pop tune, and it is no challenge to El's vocal talent; nonetheless, the single peaked at Number 39 after 14 weeks. The beautifully written composition, "Share My World," was never a release (although it was featured on the group's self-titled debut album). However, it has a soft, gentle air with much crossover appeal, and features El and Bunny DeBarge on lead. Though Bunny's vocals are plausible, El's reign supreme. Aside from the aforementioned, the other selections are marginal. 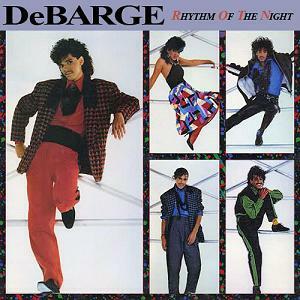 From late 1982 through 1985, DeBarge were a regular presence on the singles charts. They also placed three albums in the Top Five of the R&B chart -- all of which crossed into the Top 40 of the Billboard 200. While the siblings have been the subject of a few hits compilations, their catalog was otherwise neglected for decades, until Hip-O Select released this thorough anthology. Discs one and two of Time Will Reveal: The Complete Motown Albums contain the four DeBarge albums: The DeBarges (the undervalued if somewhat tepid debut), All This Love (the 1982 breakthrough featuring “I Like It” and the title track), In a Special Way (one of the finest albums of the early ‘80s), and Rhythm of the Night (the heavily synthesized patchwork finale). Disc three collects 12” mixes, a flowery and inferior alternate mix of “All This Love,” and four instrumental versions. 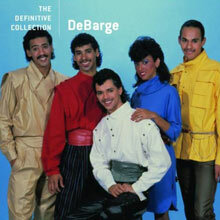 What gets lost in the DeBarge family drama and image -- the glamorous clothes, elaborate hairstyles, and suspect facial hair -- is that they wrote, produced, and arranged the majority of their material and all of their best work. Their several hits, along with album cuts like “Strange Romance,” “Stay with Me,” and “A Dream,” are among the most heavenly, impeccably constructed pop-R&B music of any era. Odds are good that 2Pac, the Notorious B.I.G., Blackstreet, and Ashanti didn’t feel guilty about making hits with DeBarge-sampling records. Therefore, no listener should ever feel guilty about deriving pleasure from the source. If you could swear you've seen this set of tracks, in this same order, somewhere else, it's because you have. The Definitive Collection, released in 2008, is a re-dressed version of 1997's The Ultimate Collection. The mastering credits for both discs are the same, so there is presumably no difference in the sound. The packaging here is a little more attractive, but unlike the Universal-distributed Gold series, the details in the liner notes are thin: no release dates, no chart information. This set of songs makes for the best DeBarge anthology available, containing not just the DeBarge-the-group Top Ten R&B hits but solo hits for El, Bunny, and Chico, as well as some deeper cuts, like the single edit of 1982's "Stop! Don't Tease Me" (grade B-plus boogie that deserved better) and "Stay with Me" (a gorgeous album cut, the basis of Ashanti's "Foolish"). Chronologically, the set ends with Bunny's singles from her 1987 solo album. Altogether a compulsory component of anyone's '80s R&B collection. 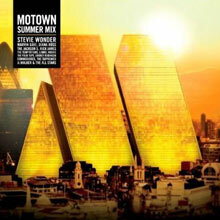 With almost 100 tracks, this massive compilation of some of Motown's biggest hits serves as an awesome reminder of the enormity of the talent on the label and its far-reaching popularity. 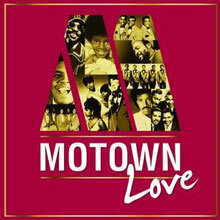 Going in a loosely chronological order, Motown Anthems begins with ubiquitous hits from the label's golden age from the Supremes, the Four Tops, Marvin Gaye, and the like, but soon branches into later hits from the '70s and '80s, including chart-toppers from Lionel Richie and Rockwell. The collection is rounded out nicely by Boyz II Men, representing the label's activity in the '90s, still making waves in soul, R&B, and the sound of young America. This is a great collection song-wise, with some of the later motown recordings alongside the older classics that everyone knows. This is a constant flow of music, with no fade-outs or stops (except the end of each disc, obviously) so it's nice to have a continuous flow of music; great for summer BBQ's or listening to on holiday. Certainly worth having in your collection. Good value for money this triple CD features all the great artists from the golden period of the 60s/70s . The songs are specifically love songs such as the Four Tops Baby I Need Your Loving and other gems by the main Motown artists of the time.